Iraqi special forces take the village of Bazwaya, less than a mile from the Mosul city limits to the east. They have paused to allow regular troops to fill in. Government and allied forces have also taken additional villages, and counterterrorism chief General Talib Shegati says forces will cross the city limits in a matter of hours. Some reports say they already have done so, although this may be a matter of definition. It appears they have yet to cross the administrative border of the city, but that seems an inconsequential distinction. The Syrian Observatory for Human Rights says that 300 child soldiers brought by IS from Syria to Mosul have been killed in fighting. Iraqi media continue to report that IS is executing deserters by the dozens. I will provide an update if warranted. Looks like the next few days will be decisive. The UN says IS forces have abducted thousands of civilians in the Mosul area to use as "human shields" near strategic sites. They are also said to have murdered some 232 people including former members of Iraqi security forces and people who refused to obey their orders. Toxic clouds from burning sulfur and oil wells set ablaze by IS have sickened more than a thousand people and created an environmental catastrophe. Nevertheless, despite resistance peshmerga and Iraqi forces continue their slow advance toward Mosul. Shiite militia offensive on Tal Afar said to be imminent. Advance toward Mosul continues to be slowed by IS resistance. 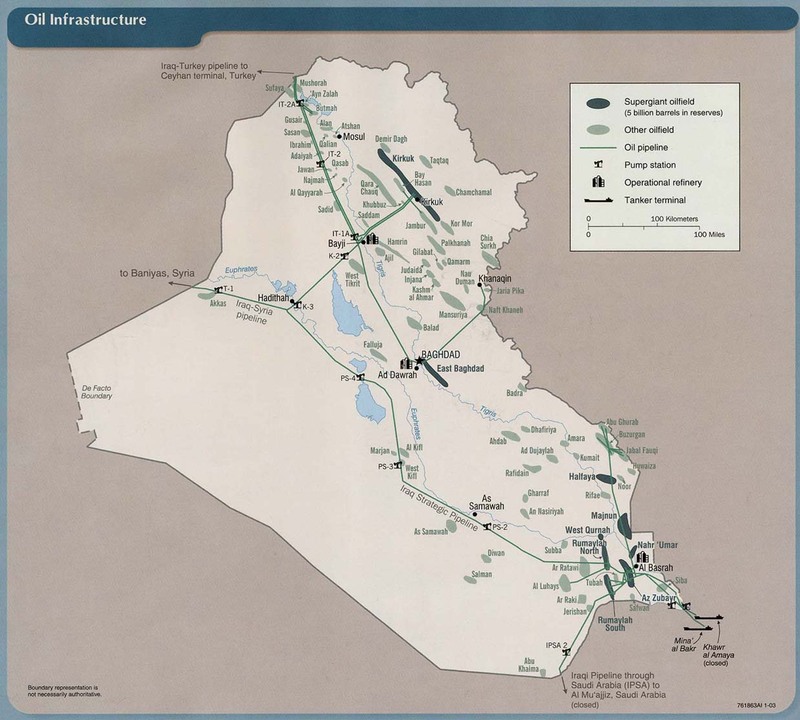 Iraqi forces to the south are currently fighting in the Shora region, 20 miles from the city. UN agencies say that so far 10,600 civilians have fled the fighting. Shiite militia forces are expected to join the battle soon, specifically to take the Turkmen town of Tal Afar. Turkish Foreign Minister warns that Turkey will be watching the situation closely. Pointing to the threat of Hashd al-Shaabi, an umbrella group of pro-government Shia militias, Cavusoglu said in addition to the expected attack on Mosul, the militia is also targeting largely Sunni areas. Cavusoglu underlined that Turkey will "take all precautionary measures allowed by international law" if anything in Tal Afar threatens Turkey’s security. Cavusoglu also warned that Turkey "will not be insensitive" if the Turkmens of Tal Afar are attacked. Meanwhile, peshmerga forces are continuing to make slow progress in the Bashiqa area. Xinhua reports on advances in various areas. Reuters reports on the U.S. "high mobility artillery rocket system" in Qayyara, which has been attacking targets in Mosul continuously. The system has a range of 70 miles. Tallha Abdulrazaq discusses the future of IS after it loses control of territory. Like many observers, he is concerned about the poor prospects for a political settlement that will deprive the group of oxygen. In Afghanistan, 26 civilians are massacred in the remote province of Ghor,but there are conflicting accounts about who is responsible and the motive. Some stories have called the perpetrators Taliban, but most accounts now call them IS. The motive may have been revenge for the killing of an IS commander, or a dispute over stolen sheep. Some accounts portray this as an ethnic conflict. This is one of those stories where the focus on a single individual draws attention to a much wider issue which has been ignored. Sharbat Gula, the subject of a famous National Geographic photograph is an Afghan refugee who has been living in Pakistan. Pakistani authorities have arrested her for obtaining a fake ID, and she is subject to prison time. (I expect they will just expel her.) Pakistan has been engaged in mass deportation of Afghan refugees, putting great stress on humanitarian agencies. U.S. military spokespeople say U.S.-led coalition has launched more air strikes in the past week than at any time in the battle against IS, in support of the assault on Mosul. U.S. claims to have used 1,776 (sic) items of ordnance including bombs, rockets and artillery shells, and to have killed hundreds of IS fighters and destroyed large amounts of equipment and defenses. Turkey insists on joining the offensive over the objections of Baghdad. 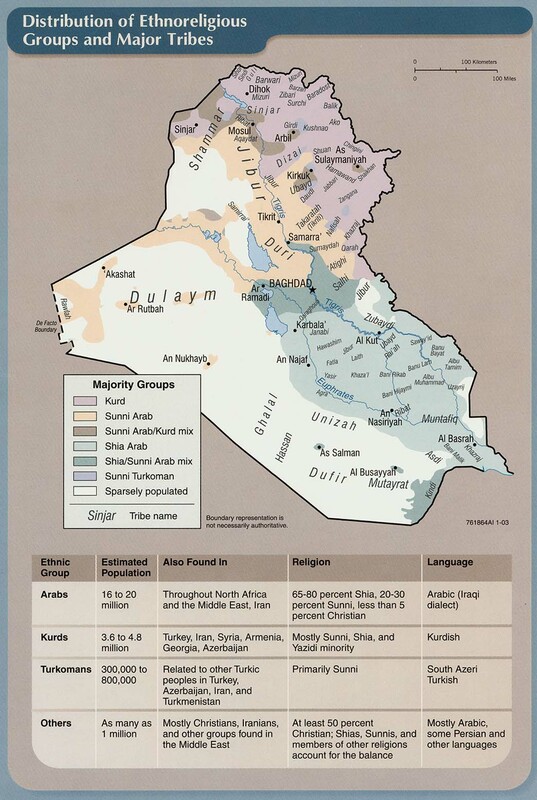 This is really a question of Iraqi sovereignty in Kurdistan. Despite Ankara's conflict with the PKK and Kurdish parties in Syria, it has reached an accommodation with the Kurdish Regional Government in Irbil and appears ready to support the independence of Iraqi Kurdistan. In return, the KRG has repudiated Kurdish parties that have designs on Turkish territory. Turkey of course wants to have influence in Kurdistan and allying with the peshmerga in the assault on Mosul helps to seal the relationship. Of course if the KRG honored Iraqi sovereignty in its territory, this could not happen. Iraqi forces make gains in Christian towns southeast of Mosul. Here's the story of two Christian towns recaptured by Iraqi forces. Peshmerga repel a counterattack in Sinjar. IS also counterattacks in Rutba in Anbar. The Economist discusses IS ideology and looks toward potential positive outcomes from the collapse of the self-proclaimed Caliphate. 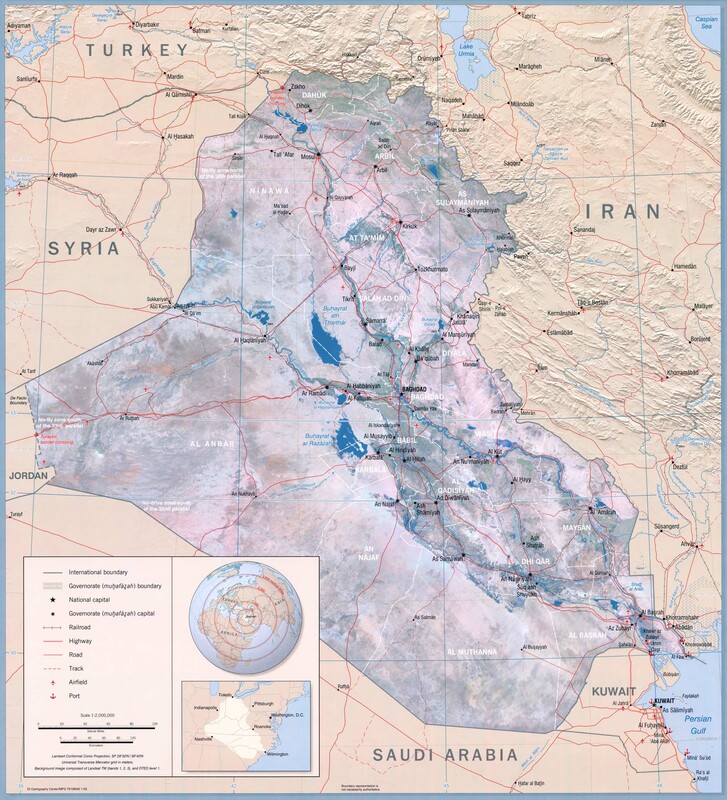 However, many observers argue that failure to achieve political resolution and stability in Iraq following the conquest of Mosul will allow the IS to continue to operate as a guerrilla organization and lead to continual turmoil. Renad Mansour discusses these prospects for CNN. Middle East Eye gives an overview of the state of battle. 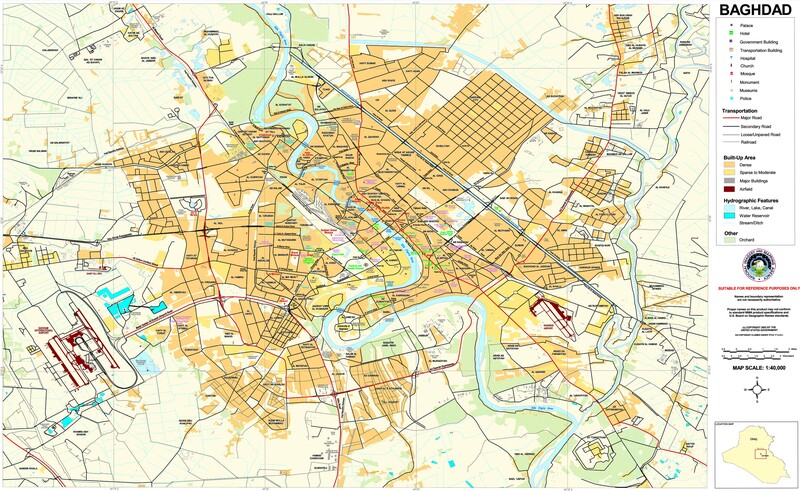 Iraqi forces are said to be within 5 km of the city. IS assault on Kirkuk ends with 48 attackers dead. Fourteen civilians were also killed -- 13 workers at a power plant including 4 Iranians, and one reporter killed by a sniper. 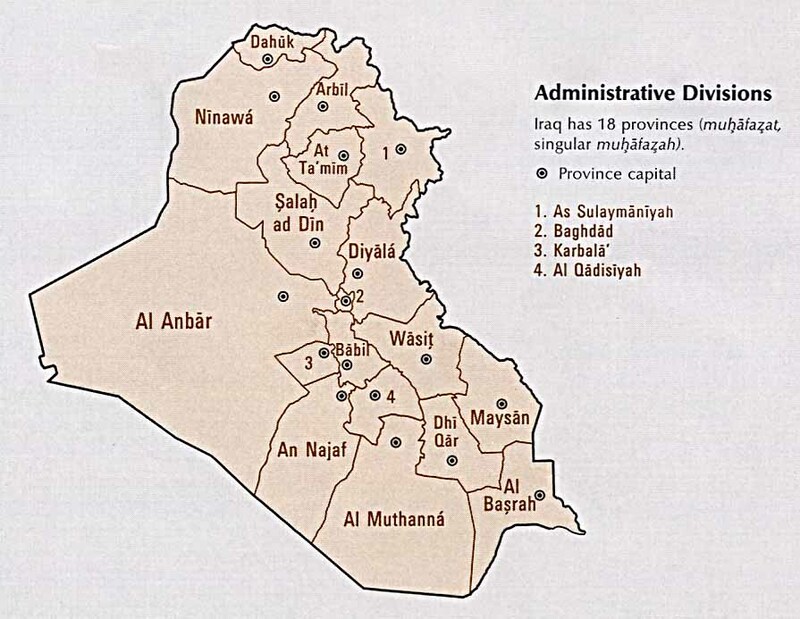 Twenty nine members of the Iraqi security forces were also killed. Some of the attackers may still be at large. The attackers are said to have entered Kirkuk through a gap between Kurdish and Shiite militia lines. U.S. Secretary of Defense Ashton Carter is in Iraq, to meet with Iraqi officials and his commanders. This Time story discusses the current military situation in some detail. Iraqi forces capture the center of Hamdaniyah, 20 kilometers from Mosul, though resistance continues in the area. The town is said to be largely deserted. After meeting with Ashton Carter, PM Abadi declines an offer of Turkish help in the battle for Mosul. IS blows up a sulphur plant near Qayyara. The resulting fumes kill 2 civilians and force U.S. personnel at the base to wear respiratory protection. For unexplained reasons, IS has destroyed Mosul's largest hotel. Also for unexplained reasons, IS is said to have murdered 284 of the civilians captured to serve as human shields. AP blog reports on death of a journalist by sniper fire; unsuccessful attack on a convoy near Bartella, other recent developments. U.S. fatality from Thursday is identified as Chief Petty Officer Jason C. Finan, 34, of Anaheim, California, assigned to Explosive Ordnance Disposal Mobile Unit Three. In Afghanistan, as low-level fighting continues around the country, a Taliban delegation is in Pakistan to discuss possible resumption of peace talks, following previously undisclosed talks with Afghan and U.S. diplomats in Qatar. IS attacks on government buildings in Kirkuk and a nearby power plant Result in deaths of 6 police and 16 civilians in Kirkuk, and 13 workers at the power plant. At least 12 IS militants, including 2 suicide bombers, are dead, but others are said to be at large. Four of the dead at the power plant were Iranian technicians. UN human rights office says IS has abducted 550 families from villages near Mosul and is holding them near key locations as human shields. Americans killed in Afghanistan are identified as Sgt. Douglas L. Riney, 26, from Fairview, Illinois, assigned to the Support Squadron, 3rd Cavalry Regiment, 1st Cavalry Division, Fort Hood, Texas; and civilian Michael G. Sauro, 40, assigned to Defense Ammunition Center at the McAlester Army Ammunition Plant. Iraqi and Kurdish forces launch separate offensives, with Iraqi special forces advancing from the south to Bartella and peshmerga forces advancing from the northeast near Bashiqa. Booby traps, suicide car bomb attacks, and dug in IS troops continue to slow progress but PM Abadi says progress is faster than expected. Conditions in the city of Mosul are growing desperate and it is impossible for civilians to flee. Speaking to Al Jazeera on the phone from inside Mosul, Abu Yazan, 36, who didn't want his real name used fearing reprisals from the group also known as ISIS, said fleeing the city was "not possible" at this stage. "There is no way out for us as families. Even if we think about fleeing the city, that is not possible at the time being. We are being held hostages; ISIL took the whole city of Mosul as hostage," said the father of three children. IS commanders are reported to be fleeing the city. French president Hollande appears to confirm this and is concerned that IS fighters are escaping to Raqqa. He makes his remarks at a meeting in Paris of members of the U.S.-led coalition to discuss plans for stabilization after Mosul is recaptured. However IS claims that Abu Bakr al-Baghdadi will remain in Mosul after a failed coup attempt. There are conflicting reports that he has already fled, but Iraqi deputy PM Hoshyar Zebari says he is indeed still there. Enslaved Yazidi women are said to have been moved from Mosul to Raqqa. Update: U.S. service member killed by roadside bomb in northern Iraq "near Mosul." No further information as of now. Some 5,000 people have fled from the Mosul area to al-Hol camp in Syria in recent days, where Save the Children says conditions are appalling and the facility is unprepared to receive more refugees. The camp is "littered with waste and faeces, with a looming risk of outbreaks of disease". It said there are just 16 toilets shared by more than 9,000 people, many of whom only have access to dirty, untreated water. Iraqi and Kurdish authorities set up a camp with 5,000 tents near Mosul. This will not be enough to receive the expected number of refugees, however. The advance on Mosul is slowed by harrying tactics by IS defenders using suicide truck bombs. Often, as in the battle described here, they are destroyed by tank fire before they can be effective. However, defenders hang on with mortar and rifle fire. Tribune News Services describes the military situation more generally. Despite the resistance, the far superior weaponry of the attacking forces, notably tanks, along with air support, makes slow but continual progress inevitable. This report also notes that Shiite militias have pledged only to capture Tal Afar, and not to enter Mosul. Peshmerga forces have stopped their advance to consolidate their positions. They fight off a counterattack near Sinjar. Here is a description of a battle in Bojwana village to the south of the city. Iraqi armor is now said to be 3 or 4 miles from the city. This CNN story mentions several engagements. Ibrahim al-Marashi looks forward to the aftermath of the fight for Mosul. Prime Minister Haider al-Abadi will face the daunting challenges of governing a post-ISIL Iraq and post-conflict security issues: first, the reintegration of territory and populations that were under ISIL control; second, agreeing to Iraq's internal borders with the Kurds; and third, presiding over a fragmented, sectarian state to deal with the aforementioned issues. This is one of the few occasions where I find myself arguing for American interference in domestic Iraqi affairs. Update: An assailant wearing an Afghan army uniform kills a U.S. service member and a U.S. civilian at a U.S. base in Kabul. An additional service member and 2 additional civilians were injured. The assailant was killed. More information when it becomes available. Iraqi PM Haider Al-Abadi announces the beginning of the offensive to retake Mosul. Thirty-thousand Iraqi government and allied forces, including Kurdish peshmerga and Arab militias, are taking part in the offensive to re-take the city from an estimated 4-8,000 IS fighters. 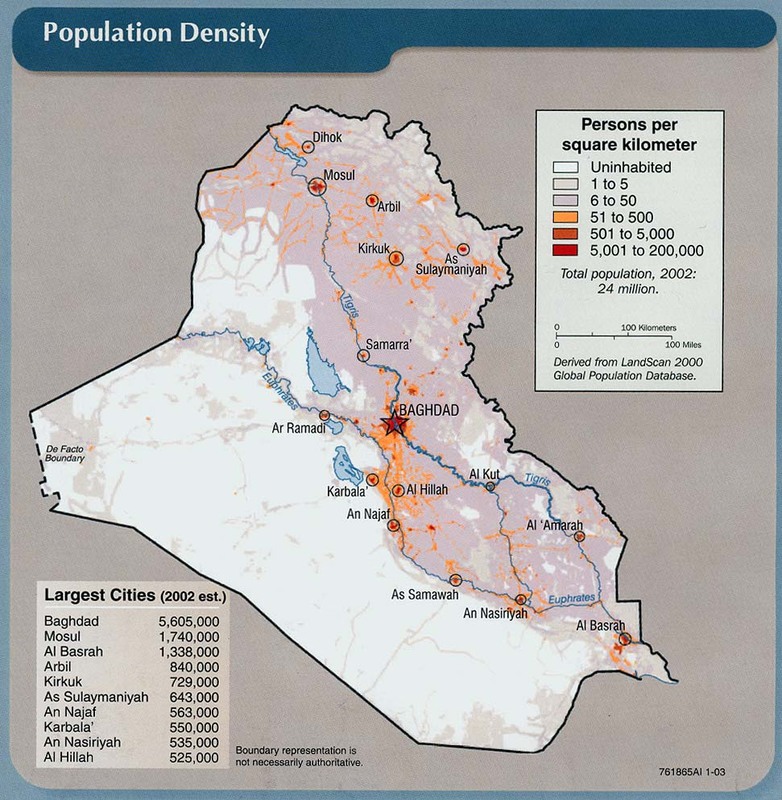 Up to 1.5 million civilians are believed still to be in the city. The U.S. Department of Defense announces U.S. participation through Operation Inherent Resolve. The OIR coalition will provide "air support, artillery, intelligence, advisors and forward air controllers," Townsend said in the statement, adding that the supporting forces "will continue to use precision to accurately attack the enemy and to minimize any impact on innocent civilians." Peshmerga forces are advancing from the northeast and claim to have taken 5 villages. Washington Post reporters dispatch from Khazir, from which the Kurdish offensive has been launched. DPA reports on the Iraqi push from Qayyara to the south as well as giving some details on peshmerga progress. BBC coverage includes some helpful maps and tactical discussion. Time provides background coverage on the city and its significance. Update: The Guardian discusses the role of U.S. special forces acting as "Joint terminal air controllers," that is troops near the front lines who act as spotters for air strikes. The article discusses some specific targets hit by U.S. aircraft as the offensive began. Although government forces have regained control of Kunduz city proper, fighting continues in the vicinity and thousands of displaced people are not returning, due to the uncertain security situation and damage to the city infrastructure. People are staying in camps in Mazar-e Sharif. However, Mazar-e Sharif may not be so safe either, as a planted bomb in the city injures 3 people. The Afghan government plans to investigate the recent Taliban takeover of Kunduz. Whatever. Meanwhile, in Iraq, the battle for Mosul appears imminent as Iraqi planes drop leaflets over the city warning of the coming battle, U.S. artillery begins heavy shelling of IS positions, and Massud Barzani says the time for the offensive has come. We will provide daily updates once it begins. Taliban surround and massacre about 100 Afghan soldiers and police near Lashkar Gah, seizing 22 armored humvees, dozens of trucks and innumerable rifles, while also taking many prisoners. The Afghan army is now losing 5,000 security forces per month to casualties and desertion, while replacing them with only 3,000. Ill-trained recruits are being rushed to the front lines. Eight additional security forces are said to have died in other engagements since then. IS fighters are said to have been killed by air strikes in Nangarhar and Taliban said to have been killed in Farah. As usual, no corroboration for the reported body counts. Three children are injured in a rocket attack in Parwan. U.S. special forces are deployed in Farah to support Afghan troops as fighting is ongoing in the provincial capital. Gunman attacks a Shiite shrine in Kabul as worshippers observe Ashura, killing 18. IS in Afghanistan claims responsibility. Separately, an explosion at a Shiite mosque in Balkh kills 14. While the center of Kunduz is now said to be secure, Taliban continue to occupy surrounding areas. This analysis in Der Spiegel discusses the generally deteriorating security situation in the country. In Iraq, heavy security presence as Ashura is observed in Karbala. This is exactly what we do not want to hear. Shiite militia leader says Mosul battle will be "revenge for the martydom of Husain." Oog. Heavy fighting close to Farah City has businesses closed and many residents fleeing. Despite resistance by local militias and some air strikes, Taliban are said to be advancing toward the city center. Afghan military helicopter crashes in Baghlan, killing all 7 on board. As usual, conflicting claims as to whether mechanical failure or hostile action caused crash. Seige of 50 Afghan forces in Faryab is relieved after 6 days. Three Afghan police killed in an attack in Zabul where fighting is said to be increasing recently. Two police injured by roadside bomb in Nangarhar. Government claims 86 insurgents killed in Helmand in past 48 hours, as usual makes no mention of any government casualties. All we can conclude from these reports is that fighting is occurring; otherwise I would not put any credence in them. Air strikes, presumably by U.S. drones, said to kill 34 IS adherents in Nangarhar. Note that this is really a breakaway faction of the Taliban that has adopted the IS brand name. As usual, there is no corroboration of this claim, nor is it at all clear how the coalition could establish such a precise death toll from an air strike. Two U.S. troops injured by an explosion in Jalalabad on Saturday. No report on the severity of their injuries. Fighting continues in Kunduz with civilians fleeing as conditions continue to be dire. Today marks the 15th birthday of America's longest war. Here are some reflections. Derek Coy in the veterans' newsletter Task and Purpose.
. . . Today, Oct. 7, marks the 15th anniversary of combat operations in Afghanistan, which is now our longest war to date, and other than a select few who bear the brunt of this burden, most people will see #WorldSmileDay trending on Twitter today and not think twice about this somber and embarrassing anniversary. Nothing could be more insulting to the troops currently serving.. . .
Vijay Prashad in Afghanistan Times.
. . . Fifteen years ago, the United States went to war on Afghanistan. . . . A decade and a half later, the Taliban is back in force. It commands large parts of the countryside, and threatens major urban areas. Kunduz, in the north, has been going back and forth between the Taliban and the Afghan National Army. Just this week, the Taliban forces took the center of the city, only to be ejected a day later. In Helmand Province in the south, home of the US Surge, the Taliban threatens the provincial capital of Lashkar Gah. It already holds six of the fourteen districts of Helmand – Baghran, Dishu, Musa Qala, Nawa, Now Zad and Khanashin). The rest of the district is almost entirely dominated by the Taliban. Just north of Helmand, the Taliban threaten the provincial capital of Uruzgan – Tarin Kot. Much of southern Afghanistan, in other words, is in the craw of the Taliban. Robert Fisk in The Independent. . . Now Isis is in Afghanistan. Car bombs are as frequent in Kabul as they are in Baghdad, suicide killers as numberless as they are anonymous. A new president, Ashraf Ghani, an American citizen, has pledged an end to corruption – some hope – but the militias reign supreme. (Ghani’s running mate was the ghastly Dustom). His Afghan army and police are as impotent as they were when first created by yet more American advisers after 2001. Soldiers turn up for their uniforms and a month’s pay then vanish into the desert. Khunduz is under Taliban siege for the fourth time. The Americans bombed an MSF hospital in the last battle for the city. And the Germans have just announced that they won’t pay more than the original $5,000 to families who lost their loved ones in a German/Nato air strike because the pilot followed the rules. Again, the same old story: it’s not the extent of an Afghan’s loss that will measure his recompense but the degree of culpability of those who brought about that loss. And we are never – ever – going to blame ourselves. May Jeong in The New Republic.
. . . Today, 15 years after the invasion began, Afghanistan has turned into America’s longest war. More than 2,300 American troops have died in the conflict, which has cost U.S. taxpayers $686 billion. As a candidate, Barack Obama vowed that we would quickly “finish the job” in Afghanistan. Instead, Obama has presided over a war that went from dismal to disastrous. According to the Special Inspector General for Afghanistan Reconstruction, the Taliban gained ground this year, while the government in Kabul grows weaker. In July, Obama announced that the United States will leave 8,400 troops in Afghanistan—up from the 5,500 he originally called for. By almost any measure, we are moving backwards.. . .
Oh yeah. Fighting continues in Kunduz. Fighting briefly closes the Kabul-Kandahar highway in Zabul. Army base attacked in Kandahar. Tens of thousands of non-existent troops on Afghan army payroll. U.S. soldier killed in action yesterday is identified as Staff Sgt. Adam S. Thomas, 31, of Takoma Park, Maryland. Thomas died Oct. 4 in Nangarhar Province, Afghanistan, from injuries caused by an improvised explosive device that exploded during dismounted operations. [I.E., Thomas was on foot patrol.] Thomas was assigned to Company B, 2nd Battalion, 10th Special Forces Group (Airborne), Fort Carson, Colorado. Fighting continues in Kunduz, with conditions in the city said to be deteriorating with shortages of food and water, and health care facilities closed. Thousands are reported to have fled their homes. Despite these reports, U.S. military spokesman Brig. Gen. Charles Cleveland depicts the current status of the battle as a "mop up" operation. The U.S. and Afghan military have been claiming victory for three days, but the fighting continues. Fighting is also reported in Farah province but few details are available. Ten children are injured in two explosions in Nangarhar. Taliban attack traps hundreds of travelers in Badakhshan. Again, details are not reported. Forty four Afghan troops training in the U.S. have gone missing in the past 2 years, presumably living and working in the country illegally. This is a small fraction of the more than 2,000 who have trained in the U.S.
Brussels conference concludes with pledges of $15.2 billion in new aid to Afghanistan. Nevertheless, economic growth in the country is now the slowest since 2002. The World Bank also warns that "
The increasing number of returnees from Pakistan would exacerbate pressures on service delivery. More than 220,000 Afghans are expected to return in 2016 alone. Given the precarious security situation, low economic and social absorption capacity and the scarcity of land and shelter, forced displacement and the return of refugees pose important humanitarian and poverty challenges. Meanwhile opium production is at a near record high with the deteriorating security situation putting an end to eradication efforts. U.S. service member killed by an IED explosion while on patrol in Nangarhar. I will provide more information when it becomes available. Taliban are reported to control much of Kunduz, despite previous claims by the government to have gained control of the city. Food is in short supply. Amruddin Wali, a provincial council member, told Pajhwok Afghan News the Taliban were openly moving around the strategic city, whose residents were in a state of fear and leaving their homes. “Only the governor’s house, the intelligence and police headquarter and the city’s main square are under the government’s control,” he claimed, saying airstrikes were underway and a number of houses and markets had been destroyed. Explosion targeting a government minibus in Kabul causes an unknown number of injuries. Many people are said to have been taken to hospital, but no reports of deaths so far. A two day international conference on Afghanistan begins in Brussels. Afghanistan, whose government and military are largely dependent on international largess, will seek additional donor funds. In Iraq, a U.S. air strike mistakenly kills 20 Sunni tribal fighters allied with the government in a village near Qayyara. Oops once again. The squabble between Turkey and Iraq over the presence of Turkish troops in Bashiqa continues. A more detailed and comprehensible summary from Salon of the Pentagon contract with the British PR firm Bell Pottinger. The information appears to be well-confirmed. The U.S., under the Bush administration, paid the firm, which has been employed largely by right-wing politicians and authoritarian regimes such as the Saudis, to produce news videos which appeared to have been made by Arab media; and fake al Qaeda videos which were apparently used in an entrapment scheme. More than 100 additional U.S. troops have been deployed to Qayyara air base to support the coming assault on Mosul. More than 550 U.S. troops are now deployed there. Puh-leeze. Nuri al-Maliki is said to be plotting a comeback, and may be behind the recent firing of a Sunni Arab and a Kurdish minister. Under the circumstances, the Turkish prime minister is right to warn of serious sectarian strife if the Shiite government tries to place Shiite militias in control around Mosul. In Afghanistan, the government is claiming gains in Kunduz, with the help of U.S. military "advisers." Taliban launch a coordinated assault on Kunduz, from several directions. They are said to have captured several checkpoints but have been repelled from the city proper. Reuters has a more detailed report, noting that fighters are entrenched in civilian homes. "witnesses saw Taliban fighters armed with AK-47 assault rifles, machine guns and rocket-propelled grenades walking around the deserted streets of the city, entering homes and taking up position on rooftops." An explosion in a marketplace in Darjan, Jawzjan, kills 6 and injures 35. Another source places the number injured at 80. In Iraq, attacks in Shiite areas of Baghdad kill 16. I'm not entirely sure how reliable these reports are -- a lot of the coverage is coming from Russian and Iranian media -- but it is reported that the Pentagon paid a PR firm hundreds of millions of dollars to produce fake videos purporting to be from al Qaeda. It isn't entirely clear what the purpose was. There is a claim --again mostly showing up in Russian and Iranian media -- that IS leader Abu Bakr al-Baghdadi and three of his associates were poisoned and are gravely ill. 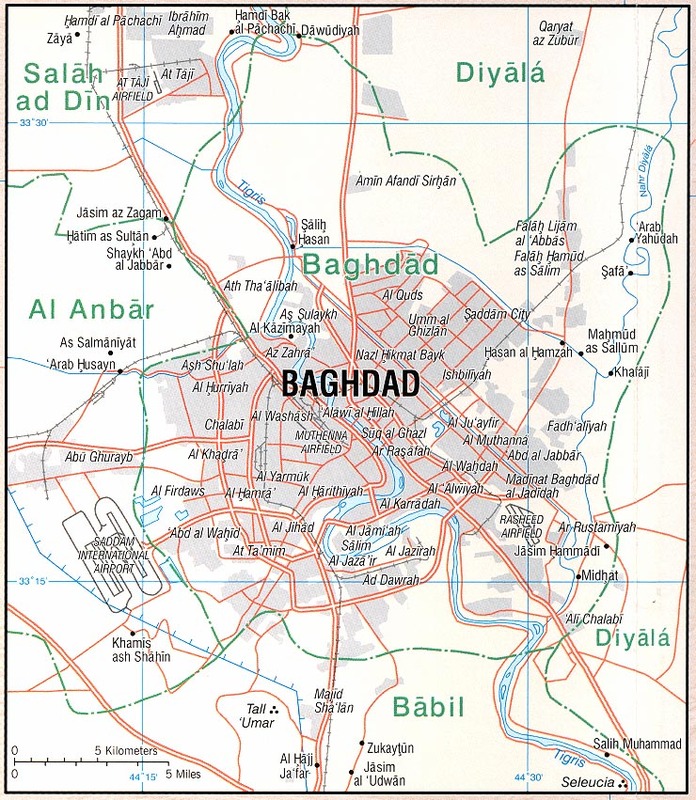 The incident purportedly took place in Nineveh near the Syrian border. I may provide an update later in the day.